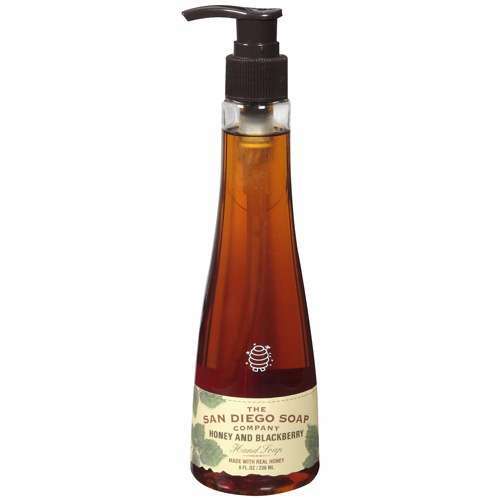 Two years ago, I wrote a blog post about a hand soap that I had a serious obsession with, San Diego Soap Companies, Honey and Blackberry soap. I kept a big stash of it in my house at all times, until “D-day” arrived. Discontinued!! Are you freaking kidding me! I swear I have been combing Ebay on a daily basis since that time to try and find ANY and ALL remaining bottles of this stuff left on the planet earth. I have yet to find any, by the way. I thought all hope was lost and I would frequently go around smelling every product that had the word “Honey” in it, hoping to catch even a glimpse of anything that smelled remotely close to my beloved soap. 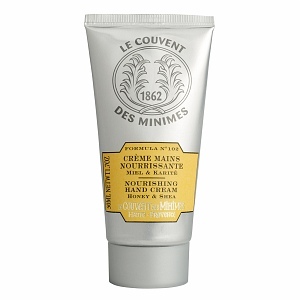 This French hand cream is almost an EXACT smell match for my soap. Its hard to describe smells but it has a “very distinct” slightly sweet but not overpowering smell of real honey. Its not super greasy and makes your hands feel super smoothified. The only thing I don’t like about this cream is that I look like a weirdo when I wear it, cause I keep sniffing my hands. Oh well, why be normal. For those of you who had been asking me if I knew where to get the Honey and Blackberry soap, try this and see if it jogs the ‘ole memory. You can buy it at Ulta and online. Its a little on the pricey side for a small tube, but your nose will thank you. Smell Sweet with Honey and Blackberry Hand Soap! When we moved into our house last Summer, this soap just happened to be left behind in one of the bathrooms. My first thought was Ooh la la…expensive soap and then once I used this soap my second thought was, MORE!!! Well, it turns out that this soap isn’t expensive, so I ordered a case of it and like the soap junkie I am, I got hooked. It has the most amazing smell and it makes my hands feel super soft. I eventually ran out and didn’t order more for a while, until TODAY. I’m so excited and I just can’t hide it…no, no-no, I’m a bout to lose control and I think I like it! You want good smellin’ hands? Well, this soap is on SALE right now for $2.99 a bottle at CVS.com when you use coupon code ( GET25) at checkout. Thank you San Diego Soap Company, your soap makes me sweet!